The 2006 inaugural O&P Extremity Games was a huge success and solidified the vision of extreme sporting competitions for individuals living with limb loss or limb difference. 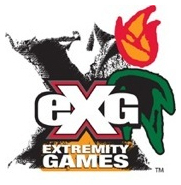 Founding sponsor College Park Industries’ drive to make the O&P Extremity Games a recurring event resulted in the creation of Extremity Events Network, Inc., a 501 (c) 3 nonprofit corporation. Founded in 2007, Extremity Events Network, Inc. established a neutral framework, in which all orthotic and prosthetic manufacturers and professionals, as well as outside industry sponsors, can comfortably contribute to and get involved.